Welcome to commercial character and performance that exceeds your expectations. 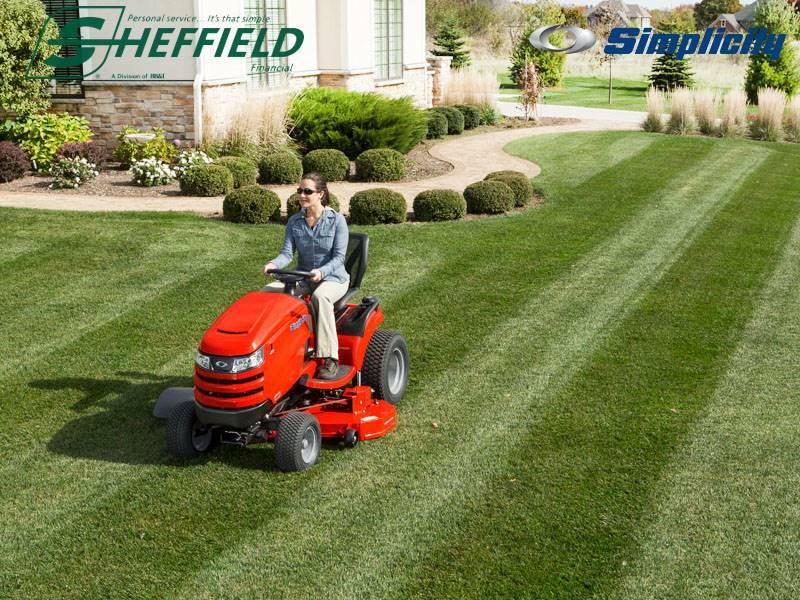 With the heavy-duty frame, unique front and rear suspension, commercial drive system and a Briggs & Stratton® Engine, the Champion™ XT Zero-turn mower promises years of quality performance. HYDRO-GEAR® TRANSAXLES: Designed for commercial applications, the Hydro-Gear® ZT-3400® transaxles are capable of delivering up to 225 ft. lb. of continuous torque for smooth, infinitely variable speed and bi-directional control in a durable package. HEIGHT-OF-CUT: The easy-to-use, foot-operated 14-position height-of-cut control can be moved in .25 in. increments from 1.5- to 4.5- in. and is clearly visible to the operator. MOWER SUSPENSION AND COMFORT: Simplicity offers comfortable commercial mowing with rear-wheel patented suspension system for increased lawn mowing productivity and comfortable high-back seat, adjustable steering levers, convenient controls and padded footrests. POWERFUL ENGINE: Designed to perform under harsh, demanding conditions. With its patented five-step integrated cyclonic air management system, the Briggs & Stratton® Commercial Series engine provides ultimate dust and debris protection for extended engine life. FABRICATED MOWING DECK: The rugged welded mower deck is made from 10 ga. steel with reinforced top, side skirts, corners and a steel front edge to ensure durability and a quality cut for years to come. Now with limited lifetime warranty. 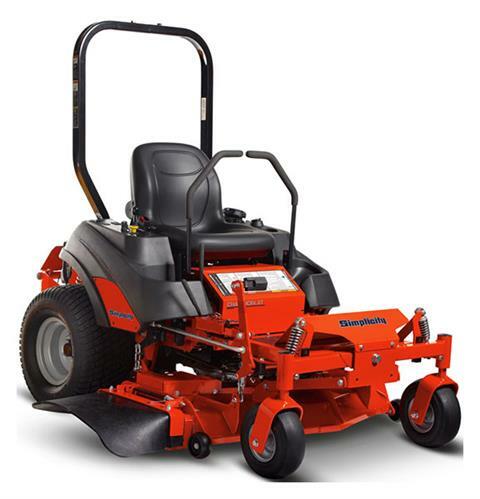 PIVOTING FRONT AXLE: The pivoting front axle not only has ride-damping front shocks that offer hours of comfortable lawn mowing; it also supports the mower and allows the mower to follow ground contours without scalping the grass. REAR BUMPER: Three steel bars wrap-around the rear of the zero turn, protecting the mower engine and the operating components from damage during mowing. Rear - 20 x 11 - 10 in.